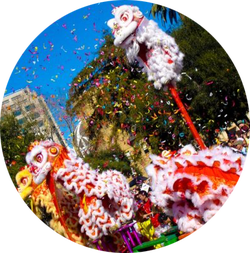 Community, Culture, and Youth Empowerment! 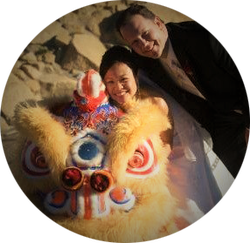 Officially established in San Jose in August of 2000, our team mainly performs the Hok San style of lion dancing. We have an established relationship with Team-M Tae Kwon Do Demo Team in San Jose. 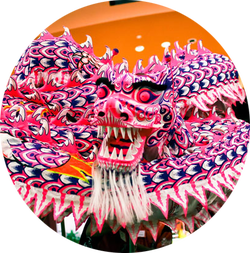 We strive to maintain the cultural tradition of lion and dragon dancing while forging new traditions of redefining gender norms. As a 501(c)3 non-profit organization, we hope to serve our community with passion and professionalism. 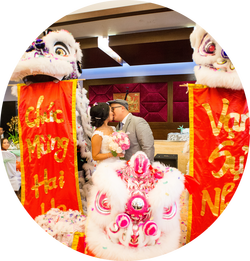 Please feel free to look around as we share our lion dance experience with you.